Feisal Amin Rasoul al-Istrabadi is the Founding Director of the Indiana University Center for the Study of the Middle East, a Title VI National Resource Center. He is also Professor of the Practice of International Law and Diplomacy in the Maurer School of Law and the School of Global and International Studies. He focuses his research on constitutional issues, problems in engendering rule-of-law institutions, and post-conflict justice issues in the Middle East. He also publishes on regional security issues. Ambassador al-Istrabadi is an elected Fellow of the American Academy of Arts and Sciences and a Member of the Council on Foreign Relations. 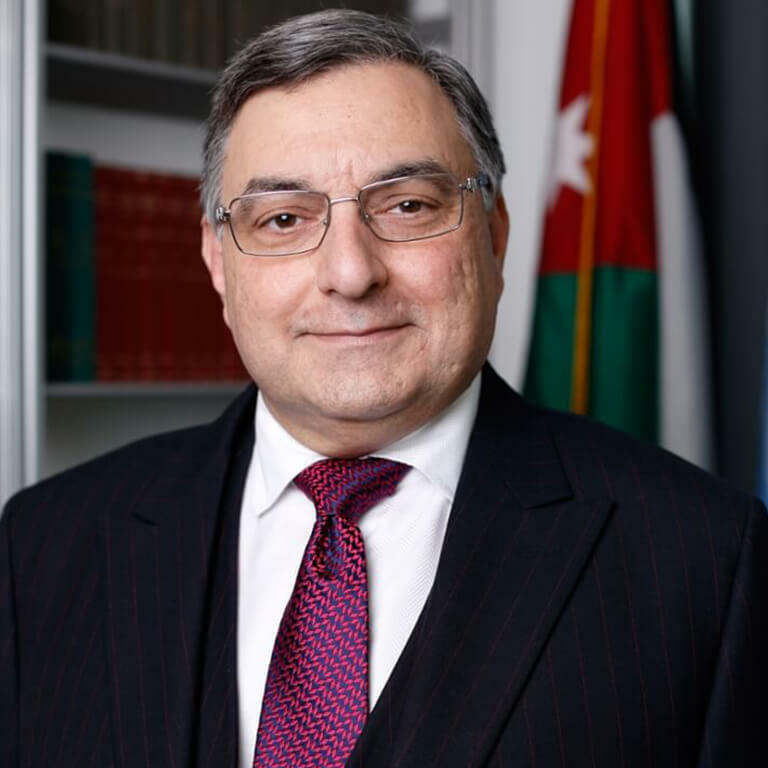 A double alumnus of Indiana University, al-Istrabadi was appointed Ambassador Extraordinary and Plenipotentiary and Deputy Permanent Representative of Iraq to the United Nations in 2004 and served in the Office of the Minister for Foreign Affairs from 2010 to 2012. Amb. Al-Istrabadi was principal legal drafter of the Iraqi interim constitution of 2004. He lectures often at universities and policy institutes and appears frequently in national and international media. Amb. Istrabadi appeared on PBS NewsHour on 2 May 2013 with Ryan Crocker, former US Ambassador to Iraq to discuss the country's recent descent into greater violence. NPR's To The Point on KCRW, Los Angeles interviewed Amb. Istrabadi regarding the current situation in Iraq and his own history in the region's government. The IU Newsroom Blog IU INC.